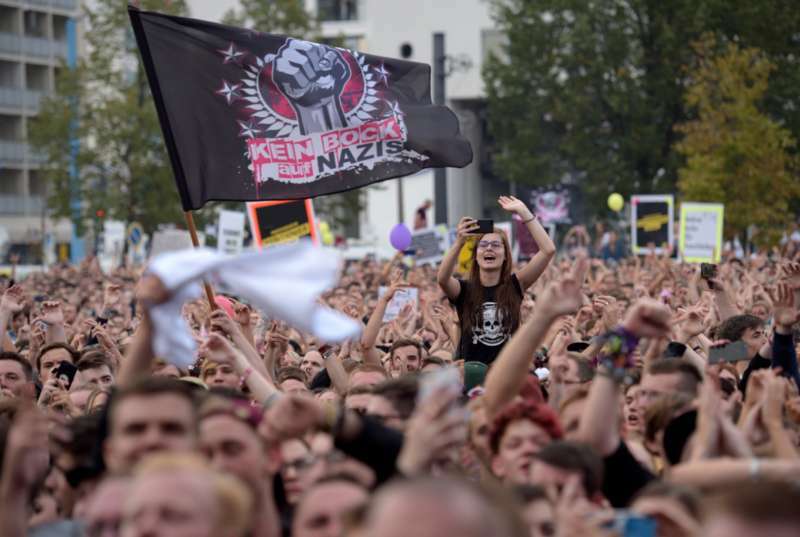 This Monday, the German city of Chemnitz put on a gigantic concert in protest of a week of neo-Nazi rallies. Though organizers expected 30,000 people to show up, they got double that. And that huge crowd got to see two straight guys kissing onstage as a protest against the far-right. The concert was in response to a week of far-right protests. Those protests were after a German-Cuban man was allegedly stabbed to death by two immigrants — similar to the Mollie Tibbetts story in the United States, where anti-immigration activists are trying to control the narrative to support their views, against the wishes of Tibbetts herself and her family. A scene from the concert, photo by EPA. Do you want to see more straight guys kissing?